Traxxas has released some big news, that immediately took me back to my youth. Traxxas will be bringing back LaTrax. “LaTrax was founded in 1974 by Jim Jenkins, father of present day Traxxas owner and CEO, Mike Jenkins. The LaTrax company was a successful pioneer and innovator in radio control during the seventies. LaTrax built high-performance, fully assembled ready-to-run models with digital-proportional control and easy-to-use wheel radios…a unique feature at the time.” See the “About LaTrax” page for more details. The first release under the resurrected product line is the LaTrax Rally – 1/18 Scale 4WD Rally Car. 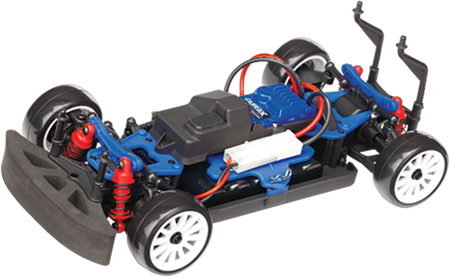 Which will come waterproof, with a 2.4ghz radio system and be ready to race with a 6v Nimh battery and charger. The Rally is expected to be released Mid-July 2013 with a suggested retail price of $149.99.